Peter Deussen is senior researcher and project manager at the Fraunhofer Institute for Open Communication Systems with expertise in cloud computing and software engineering. Peter received his PhD in computer science in 2001 form the Brandenburg Technical University at Cottbus. After joining Fraunhofer in the same year, he worked in the area of software and protocol testing, with focus on formal methods. From 2004 to 2010, he led a working group on Autonomic System's Engineering at Fraunhofer. 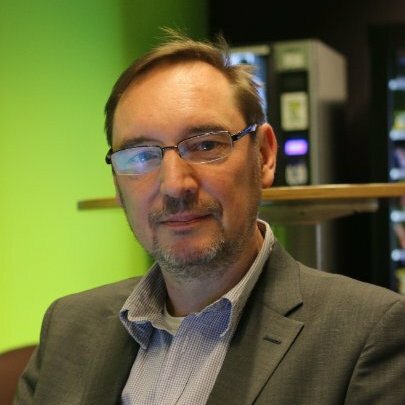 In 2010 he joined the Competence Center ELAN and moved his focus to the area of Cloud Computing for the public administration. Peter Deussen has worked (on various occasions in the role of the project leader) in numerous national and international research projects including several EU founded projects. He is moreover active Cloud Computing standardisation (DIN NIA 38 (German national level), and ISO/IEC JTC1 SC38, and ITU-T SG 13). Peter is ISO country representative for Germany, and provides feedback on lists of selected standards and Germany-based WGs.